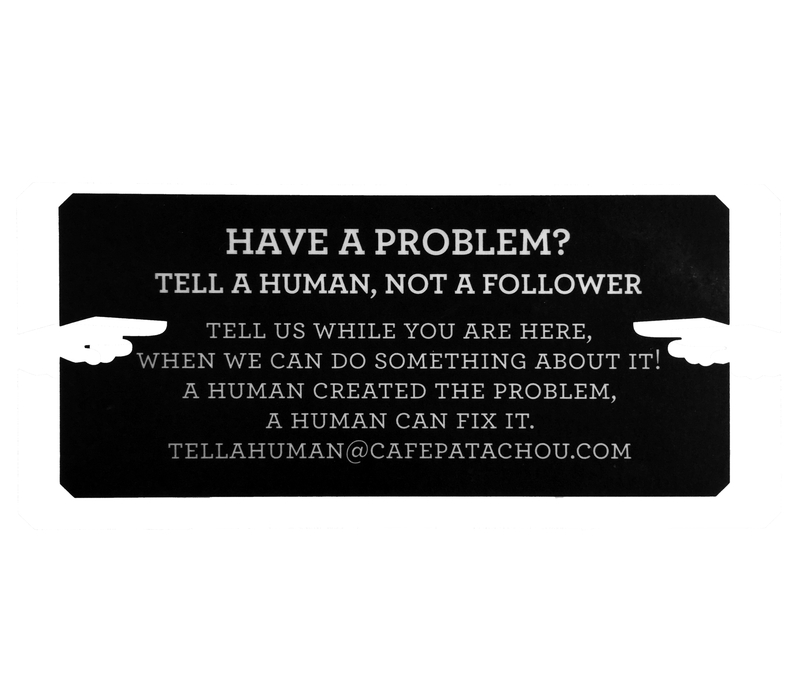 Tell a human. - Rare Bird Inc. I think (and remark to my tablemates) that this simple message is a stroke of genius, from both a marketing perspective and simple, common sense. Too often people pick up their smartphones and take to social media to express displeasure when the straightest line between a problem and the solution might be simply talking to someone. I also see a similar issue with general communication: someone might send an email or text message – both wildly open to misinterpretation – instead of talking, either on the phone or in person. Direct, open communication can often avoid an issue escalating unnecessarily or correct it all together. Let’s make a pact, shall we? Less texting and posting and emailing, and more talking. This article was posted in Marketing. Bookmark the permalink. Follow comments with the RSS feed for this post. Post a Comment or leave a trackback.